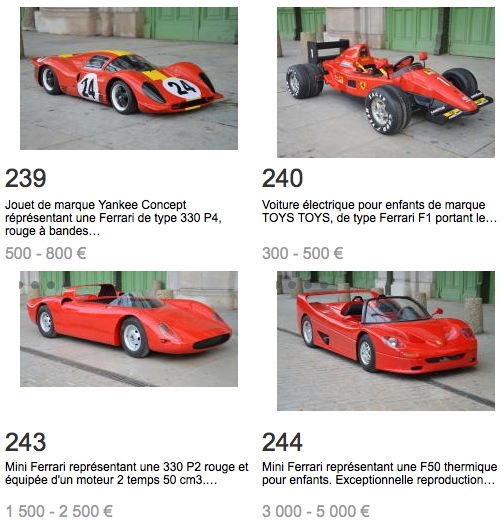 It's not very #servicey, but I just could not bring myself or my blog to be a party to the auction madness that was unfurling yesterday in Lyon, France. 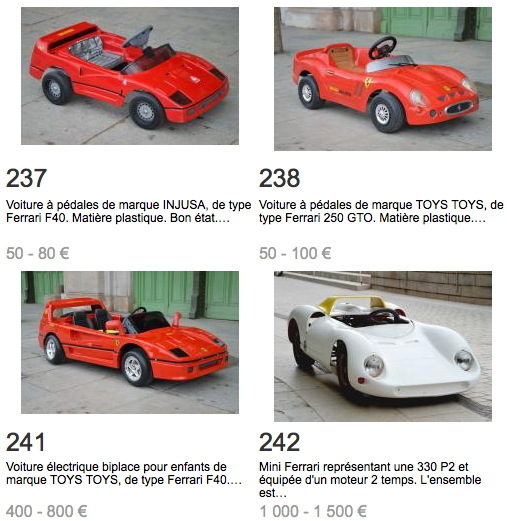 Twenty, that's right, TWENTY mini-Ferraris of all sorts, vintages, and price points, went up for sale at Aguttes. It was, how you say? FOU, FOU, COMPLETEMENT FOU. There were Testa Rossa projects, FAO Schwarz-lookin' indulgences, and daunting P330 with motors that cost as much as a Camry. Really, though, it was just too much at once, clearly the dissolution of some baffling obsessive's collection which, I just cannot see a happy ending in this. Unless, of course, you scored a deal on that insane F50. Send pics!